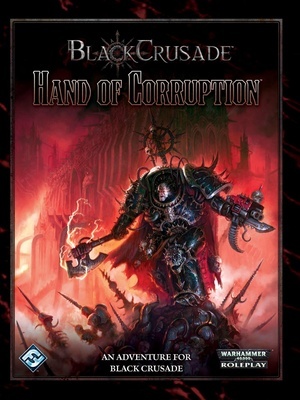 Black Crusade is a remarkable addition to Fantasy Flight Gamesâ popular Warhammer 40,000 Roleplay line, offering players an entirely new perspective on the conflict between the Imperium of Man and the forces of Chaos. 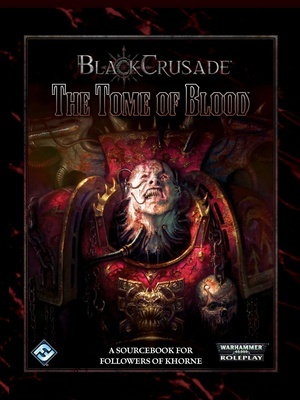 This groundbreaking concept delivers the unprecedented opportunity to play as a Disciple of the Dark Gods, whether as a Chaos Space Marine or a human Servant of Chaos. Service to Chaos is about personal glory, for ultimate power lies within reach of those strong enough to grasp it. Through the influence of Chaos, an individual can claim riches and fame beyond all imaginingâor fall utterly into ruin. 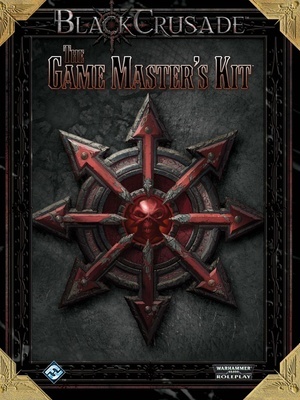 This path is no easy one and many falter along the way; whether mighty warriors or potent psykers, the Champions of Chaos must prevail by their own strength. 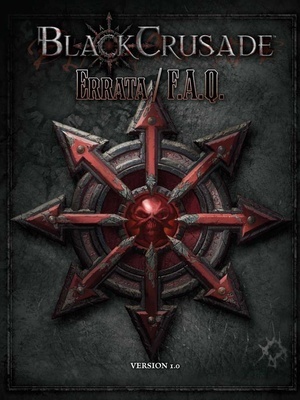 By taking on the roles of Heretics in a Black Crusade game, players can chart their own course to immortality or damnation. Whatever his capabilities or background, a Heretic sets himself against impossible odds and an uncaring universe in pursuit of his goals. The perils are immense. 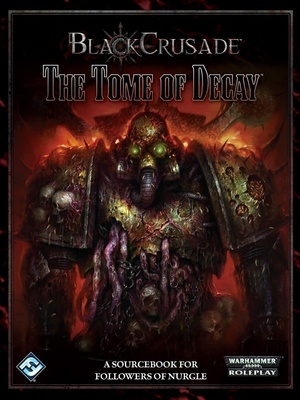 The Chaos gods (if they notice such supplicants at all) may capriciously help or hinder their mortal followers from time to time, each of whom must forge his own destiny within the ever-changing schemes of the Ruinous Powers. The gods care little for their would-be Champions and delight as much in their fall as their elevation. 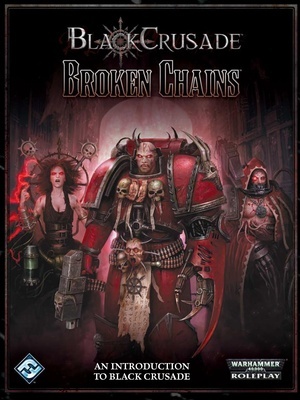 A Hereticâs plans can be as diverse as subtly corrupting an august Imperial institution or leading a bloodthirsty pirate raid, and the agents of Chaos work at every level, both inside the Imperium and outside it. 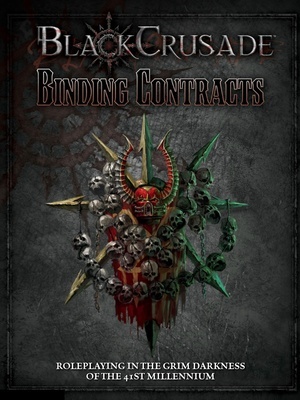 Heretics might battle Underhive gangers for control of illicit resources on one world while engaging with Merchant Houses to sell them on another. They may seek to co-ordinate hidden cults and cells, or else hunt them down and destroy them for the greater glory of their own gods. They might elect to build an army and lead it to victory, or choose to spread plagues and epidemics across the stars. 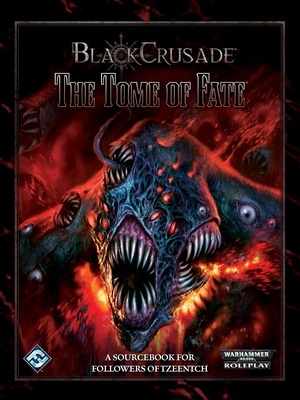 They might even deal with daemons for forbidden lore and risk their souls in dire pacts. No overarching plan or great hierarchy exists to direct the Heretic's actions; they must achieve them through their own willpower and intellect. But all Heretics are, ultimately, running a race against both the corrupting nature of Chaos and time itself. Most will fall, either to the blades and bolters of their enemies or to the corruption that fills their bodies and souls. A few, however, may transcend this fate, watching their reputations spread across the Screaming Vortex. 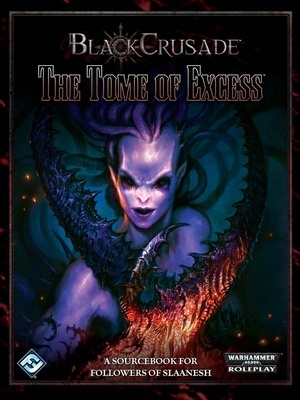 Only then, the Dark Gods may reward them for their accomplishments by raising them to become Daemon Princes. A rare few may even become so renowned, so feared, and so respected that warbands and warriors across the Vortex fight to serve under their banner, hungry for the plunder and glory that follows such an individual. These chosen champions of the Ruinous Powers can then control the Screaming Vortex and forge it into a mighty horde of destruction. 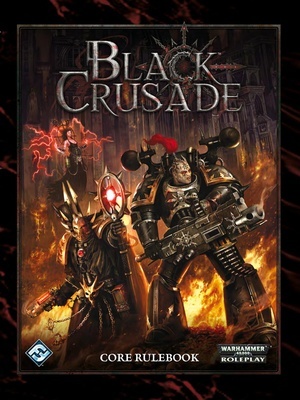 With that, they can grasp the ultimate accomplishmentâleading their armies on a Black Crusade against the Imperium itself.